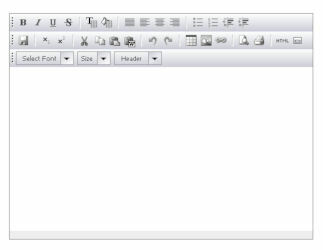 OpenWYSIWYG is a free (online) cross-browser WYSIWYG editor that works as a replacement for the standard Text Area element. • Format text to be bold, italicized, or underlined. • Change the face, size, style and colour. • Left, centre, or right-justify paragraphs. • Make bulleted or numbered lists. • Indent or un-indent paragraphs. • Insert hyperlinks, images, and tables. • View the HTML source code of what you're editing.